Hi! My name is Emma and I am nine years old and homeschooled. I’m here to share some of what I have learned about gardening. I have experience in gardening because I have been working with my family in our garden for the past six years. I’ve worked with flowers and veggies, and I’ve noticed that they have very similar needs, such as water and sunshine. There are many places and ways to garden. City = window boxes; farm = big field. There are also many other options such as gardening pots, plant boxes, small plots in the ground, or even old containers no longer used around your house. You also have to realize that some plants may need more sunshine and other more shade; this factors into your decision of where to plant and what type gardening area you will use. Also, if you want to keep your plants over the winter, you may want to plant in a container you can move indoors during colder months. Soil is one of the main parts of a plant’s life, so if you treat the soil badly your plant won’t grow right. Here are a few tips that should help you be sure your plants are healthy and hardy. 1. 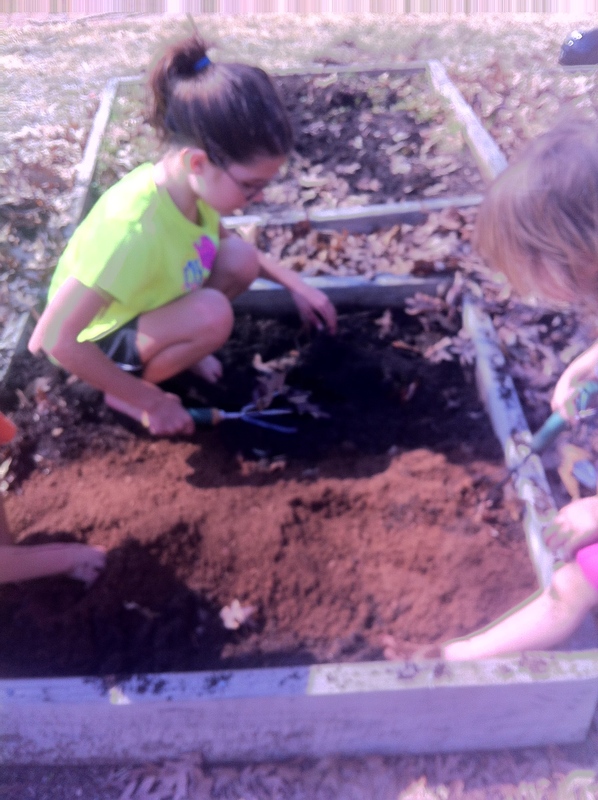 Begin your seeds with starting soil. We use it because it is light and easy for the sprouts to push upwards and begin to grow taller. 2. When you are getting regular soil from a farming company or local hardware store, make sure to also get peat moss. This creates a loose soil that helps the root system grow properly. A looser soil is especially beneficial for root vegetables. 3. To go with the peat moss, we need something to feed the plants. Some people say and think that using the store’s fertilizer is good for your plants, but I disagree. Most fertilizer has artificial chemicals, and we don’t want to eat those in our foods, do we? So to make sure that you avoid those, use organic compost, which you can either purchase or make yourself (we have a big pile in our backyard!). Compost is made of animal poop (eww! ), old fruits and vegetables, and even leaves. You know your compost is ready to use when it doesn’t smell and feels exactly like dirt. Now that we’ve got the place and soil planned out, we need to pick out what to plant. Will you choose a variety of vegetables or a bouquet of flowers? Once that is decided, then you need to research and see if you should start your seeds out of doors or indoors. You can usually also purchase seedlings at a local farm supply store or farmers market, but these can be a bit pricey if you are planting a lot! Remember to treat your seedlings very gently, let them have access to sunlight or light, keep them warm, and do not overwater. When ready to move them outside, start with just a few hours outside to harden them before moving them permanently outside. Flowers (you can either direct sow or start indoors): zinnias, marigolds, sunflowers, geraniums, and daisies! These all provide a lot of cut flowers as well as a beautiful garden. Now let’s talk about watering! To water seedlings or small tender plants, keep the soil moist with a fine mist. When watering more mature plants, you can be a little more aggressive. You should monitor the soil’s moisture and may need to water daily during the hot season (summer!). For cooler days, water every now and then when soil appears dry. If using pots or containers, make sure they are draining well. Finally, the last important part is to know exactly when to harvest. It is not as hard as you might think. A green tomato is not ripe, even though you may think it is! So the easiest way to know when your fruit or vegetable is ripe for picking is to research what characteristics it should have when it is ready. Usually they smell good and have full color. Picking at the peak of ripeness offers the best nutrients. This is just the basics of gardening and what I have learned from working with my parents. I look forward to many years gardening with my family. This year will be my first year with my very own garden and I am very excited! 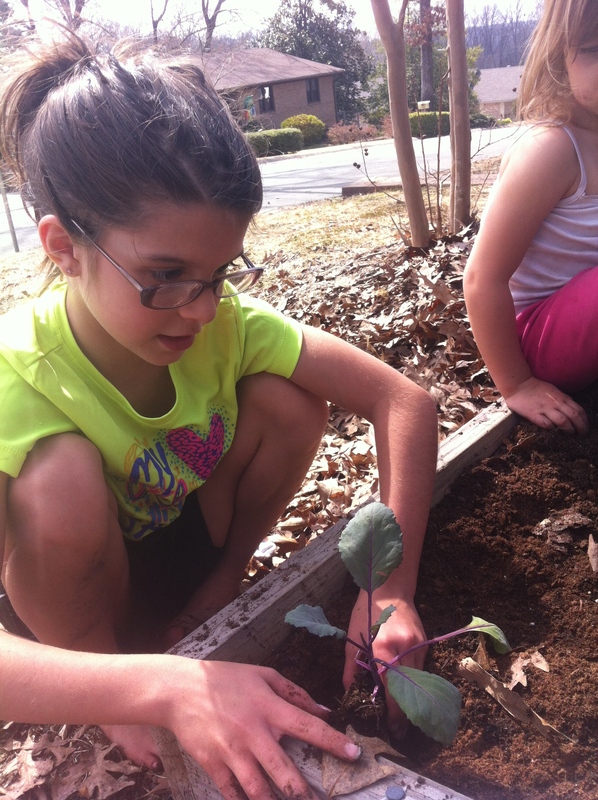 You did a wonderful job on your gardening article with a lot of useful information! Thank you for sharing. Keep us posted on how your garden is doing.